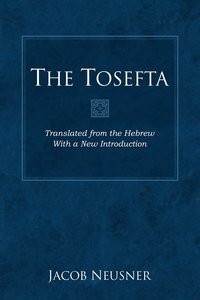 and also set in the Tannaic period, the Tosefta has the same six orders"
of the Humanities and the National Council of Arts. Jacob Neusner (Ph.D., Columbia University) is Distinguished Service Professor of the History and Theology of Judaism; Bard Center Fellow. He is the Editor of the three volume Encyclopedia of Judaism, he has published more than one thousand books and innumerable articles, including Theology of the Oral Torah, Theology of the Halakhah, and The Incarnation of God: The Character of Divinity in Formative Judaism.